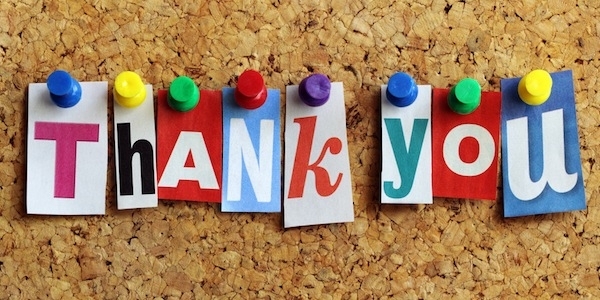 When Was the Last Time You Thanked Your Old Professor or Supervisor? When I think back to the earlier days of my voyage towards becoming a speech-language pathologist, the first images that come to my mind are visions of my old professors and supervisors being quite helpful. Those intelligent and accomplished souls took time out of their busy days to teach me as much as they possibly could, all in an effort to get me as prepared as possible to make a positive impact in the lives of individuals with various communication difficulties. I have so much gratitude for them and what they did for me. And sure, we all know that professors and supervisors get paid to do that kind of stuff. It’s their job to teach their undergraduate and graduate students the ins and outs of communication sciences and disorders, but there are just SO many educators out there that consistently go above and beyond the call of duty. When was the last time you reached out to him/her to say thank you? I want to challenge you to do something today. Not tomorrow or over the weekend, but TODAY. First, think of that one professor or supervisor that you feel always went above and beyond the call of duty for you. Then, no matter how long ago you had that educator, email him/her to say thank you. Was there a particular piece of content that you learned from that educator where each time you come across it in your professional life, it reminds you of him/her? Did one of the stories that he/she shared in a particular class resonate with you in such a way that you still think about it? If so, mention mention those things to that person in an email as a way to show genuine thanks! Communicate your gratitude because he/she deserves to know. Am I right? Are you up for my challenge? Will you take this moment to pause what you’re doing and reach out to your favorite professor or supervisor to give ’em props for being so dang cool? I hope you do. And here’s the thing, maybe it was a long time ago and maybe you haven’t contacted this educator in forever. Don’t worry, it’s fine. Don’t let the lapse of time keep you from saying thank you. Trust me, no matter how long ago ago it was, that educator WILL remember exactly who you are and your words of thanks will fill that person’s heart with joy. Remember, our old professors and supervisors have all played a part in helping us to become the marvelous speech-language pathologist that we all are today. So please, do accept my challenge to thank ’em and let me know how it goes.